Jesus is only twice recorded making mention of the church, and so illustrated its duality. The church is thus a two-sided coin. Heads is the glorious, universal, transcendent bride of Christ. Tails is the local church that meets on the corner of 7th and Main. Believers are familiar with this duality in their own lives. In the moment we come to faith we are swept into the once-for-all-ness of the New Covenant. Death gives way to Life as we were born from above by the Spirit. We are seated in heavenly places in Christ Jesus. We have moved beyond the three dimensions of the natural realm. Ours are now the innumerable dimensions of the heavenly realm. Little wonder that we can get a little confused about our true identity on occasion. The Scriptures speak to our new identity most emphatically. Having believed, we are no longer in Adam, but in Christ. The old has gone; the new has come. There are any number of ways of expressing this, and the implications are immense. We are no longer unrighteous, but righteous. We are no longer sinners, but saints. We are no longer dead, but alive; no longer separated from God, but irrevocably united with Him. On and on we could go. We have been united with Christ in His crucifixion, death, burial and resurrection. We can never be the same again, for we are in essence new creations. We no longer have the sinful nature we were originally born with, for we have been born again by the Spirit of God. Just as Christ is, so are we in this world. Being this clear on our identity is not a denial of our humanity. Our glorious, new, eternal life finds itself encased in an Adam-suit. An Adam-suit that still carries with it a good deal of the baggage of our pre-conversion lives. The Scriptures call this vestigial in-Adam-ness our flesh. Its dominion has been broken, and we no longer need to submit to it any more than we need to submit to sin and satan. But it having lost its dominion does not imply that it has ceased to exist or lost all of its influence. Just catch an inadvertent of glimpse your disheveled self in the mirror in the middle of the night. You could easily conclude that there is nothing glorious there at all. Nevertheless, the Scripture reassure us: Everything has changed. We are new creations. No matter how we appear, that is who we are. And the Spirit within bears witness. Those familiar with these concepts often distinguish between the Christian’s position (who we are in Christ), and our condition (with Christ in us, but in our Adam-suits nonetheless). This is a helpful distinction: we have position and condition; status and state. There is who we are, and there is who we appear to be. At times, these stand in disturbing contradiction. The mystery of salvation, which is by grace alone and through faith alone, is that it defines us by the work of Christ alone. There is duality, but there is no place for duplicity. That can only result in religious schizophrenia. We are who Christ has made us to be. Our position, our status, our in-Christ-ness – that is the real us. That is who we are. We are new creations. Our condition, state, or vestigial in-Adam-ness is a secondary reality. This remaining oldness is best shed like an old skin, as the life within grows and matures. Similar thinking is to be applied to, in and by local churches. Every local church is a significantly limited manifestation of an infinitely greater, glorious, spiritual, and eternal reality. All are limited by time and place, and by the inescapable humanity in the equation. But none are defined by their limitations or distinctives. All are defined by the work of Christ. 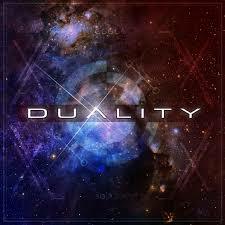 Duality is a reality, but there is no room for duplicity. The Scriptures unequivocally reveal who the church is. She is the glorious bride of Christ; she in Him, and He in her. It is a perfect union and a perfect partnership. This is true, no matter how imperfect the local church may appear in the natural. Or even how much evidence can be presented to the contrary. This Bible puts this duality into an “up there, down here” framework. Up there is the glorious, eternal, transcendent and spiritual. Down here is the temporal, finite and tangible. We, who start out down here, are assured that, having believed into Jesus, are seated in heavenly places. We are therefore encouraged to fix our eyes on things above. We’re taught to pray that things down here might become just as they are in heaven. We could say that “up there” is our position; “down here” our condition. The bride of Christ, i.e. the church universal, is “up there”. It is not of this world, and not of this age. Flesh and blood it is not. Glory and grace it is. The local church, on the other hand, is “down here”. It is in this world, but not of it. Flesh and blood it most certainly is. These are the opposite sides of the coin. A common mistake is to trade “up there, down here” thinking a “now and not yet” paradigm. This relegates the present to the imperfect, and reserves perfection for the future. Churches and the Christians who populate them are therefore works in progress. They may not be who they once were (in Adam), but they are also not who they one day shall be (in Christ). Rather, they are an amorphous blend of the two. A little bit of both, with the ratios in the cocktail varying from day to day. This is a serious misbelief. It compromises the fundamentals of the Gospel, which is a salvation by grace alone through faith alone. The mystery and beauty of our salvation is that it is identity-driven. Transformation comes to Christians and churches as they discover their their identity in Christ. It is true that who we are has not yet fully been made manifest. In that sense we are not yet who we one day shall be. Work is being done in us and on us by Word and Spirit. Circumstances play their part. Consequently, we are changing. We are maturing. 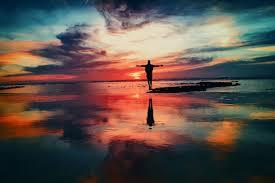 We are progressively entering into the fullness and freedom that has already been given us. But there’s the key: already given us. We should never imply that we have been made anything less than perfect, nor granted anything less than consummate freedom and fullness. We must never allow ourselves to be defined by who we appear to be, for we are those who are in Christ. We are who He has made us to be. We are who we are, once and for all, forevermore. The Christian life is not a journey towards destination, but a journey from destination. 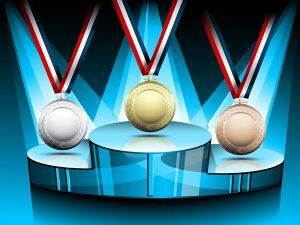 In Christ we find ourselves on the top of the podium, the gold medal already around our necks. Our race is not towards victory, but from it. It is an adventure in ever-increasing glory, fruitfulness and maturity. Of course it is necessary for the image of Christ to be worked out in our lives. But Christlikeness in essence is already ours. We get to work out what God has already worked in. we have been co-crucified with Christ, and co-raised in Him. We can never be more righteous than what we are right now. Nor more holy. All of us could most certainly live more righteously. We can walk in greater holiness. But these are secondary matters that flow from identity. Our behaviour does not define us; Christ’s behaviour does. The structure of Paul’s letters to the churches illustrate this magnificently. They begin in the indicative: who we are because of what God has done. They end in the imperative: instruction on appropriate responses to the grace of God. The same can be noted in Jesus’ interaction with the woman caught in adultery. He ensured that she was free from all condemnation before encouraging her to leave her life of sin. Peter of old learnt these truths in dramatic fashion. On the rooftop at lunchtime one day, peckish and in prayer, he fell into a trance. A tablecloth crammed with unclean creepy-crawlies descended, and the Lord instructed him to kill and eat. His religious sensibilities were deeply offended. The Lord’s lesson for the day: never regard as unclean that which the Lord has declared clean. The issue at hand back then was the Gospel going to the Gentiles. At stake was the transformational power of our justification. It amounts to instantaneous sanctification. In Christ equals made holy. Every sinner is unclean. Every Christian is clean. God says so. Even of the creepy-crawly looking ones. The point is to align the way local churches think about themselves with Scripture. The Gospel is good news, and that good news is that the beneficiaries of the New Covenant are new creations. Our minds must be renewed and our paradigms and perspectives changed. Christ is the lens through which we view all things, including His bride. Our point of departure must always be His perfect work. Something as simple as the rain helps us understand. Heads is the overcast sky and the rain pouring down. The earth and all in it rejoice at the life-giving refreshing and renewal downpours bring. Tails are the raindrops, hurtling downwards, blown hither and thither by the wind. Some splash into puddle. Others crash into paving, roofing, or foliage. Is a raindrop rain? Of course it is. But is each raindrop the rain? Not really. The rain is even more than the sum of all the raindrops together. Churches, and even individual believers, can learn valuable lessons from reflecting on the rain. It serves our purposes here to address ourselves to the former. To those local churches who undervalue, or even denigrate themselves, we must say: “Little raindrop, we know that your building is dated and your music group off key. You appear to be such a ramshackle bunch. Few among you are of notable stature or exemplary spirituality. But guess what? You are rain. You are as much rain as any other raindrop. Don’t stumble over yourself. Rather fixate on your big-picture greatness. The more you do, the more the ‘up there’ will show up in your ‘down here’”. And to the big, successful raindrops, we must say: “We’re so glad you’re excelling in all you give yourself to. Yet we’re not particularly impressed by you, even if you make quite a very big splash in your little puddle. Truth is, no matter how big a splash you make, you’re still just a raindrop. The rain is much, much more. Just a raindrop like the rest of us, your bigger and better is rather inconsequential in the light of the rain. Your ‘down here’ will always be an insubstantial boast in the light of the glorious heavenly deluge”. A deluge that we’re all so privileged to be included in. Thanks to the rain, we’re all so much more than we could ever hope to be in our own right. But, also thanks to the rain, we’ll never amount to anything much in our own right. It’s not about us, you see. It’s all about Him!